The large, midcentury A-frame building on Westminster Avenue that once housed the First Baptist Church of Venice is a shell of its former self. Nestled in Venice’s Oakwood neighborhood, an area once populated by black workers barred by affluent whites from purchasing property elsewhere in the beach community, the church existed in one form or another for 108 years. Today, the structure the congregation occupied from 1968 until just last year sits vacant and boarded up as some members of the community attempt to prevent it from becoming a mansion. In January 2017, the property was purchased for $6.3 million by Jay Penske, CEO of Penske Media Corporation and son of race car billionaire Roger Penske. Planning documents indicate that the Penske family wants to convert the structure into an 11,760-square-foot single-family home that incorporates the church edifice. For the past several months, a handful of members of Oakwood’s dwindling black community (a member of my extended family included) have held Sunday-morning vigils outside the church in an attempt to convince local officials to designate the building a historic landmark and to delay the conversion of zoning from a church to a single-family home. As Paster continued her presentation, Venice community members opposed to the Penskes’ plan verbalized their frustration as they waited to speak. “You’re a blight on our neighborhood,” one shouted from the back. Laddie Williams, one of the locals opposed to the conversion of the church into a home, is a third-generation resident of Oakwood (she did not disclose her age). Henry Williams Sr., Williams’s grandfather, helped pour the foundation for the original church building. Williams’s family came from Georgia and Tennessee in the early 1900s, leaving behind years of racial persecution only to wind up in a segregated subsection section of Venice. In 2015, then-pastor Horace Allen put the church and the land on which it sits up for sale. Almost simultaneously, two members of the church’s hierarchy filed a lawsuit against him, accusing him of taking out loans without the corporate authority to do so. Allen has since moved his congregation to Westchester, where it goes by First Baptist Church of Venice Worship Center. 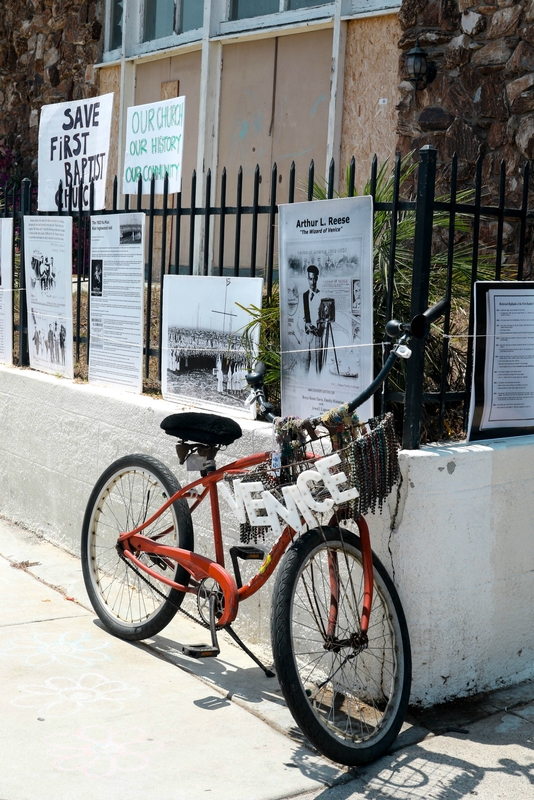 Data compiled by the L.A. Times indicates that 5.4 percent of Venice residents are black; the figure was 9.6 percent in 1980. Demographics have changed for a variety of reasons, from the aging of its population to rising housing values to the wealth gap. In fewer than ten years, the neighborhood has gone from being associated with gang violence and crime to being dominated by coffee shops and scootering tech employees. As of 2017, homes in Venice were, on average, more expensive per square foot than those of Bel-Air. But since then, Bonin has changed his stance. David Graham-Caso, Bonin’s communications director, says the councilman is now satisfied with the owners agreeing to preserve sacred elements of the church’s interior and transport them to Allen’s new space in Westchester. No one from Councilman Bonin’s office spoke at the June 20 meeting. Jataun Valentine, an 81-year-old lifelong resident of Venice, is among the last vestiges of the first wave of black Venetians. When Venice’s founder, real estate mogul and conservationist, Abbot Kinney, died in 1920, he left his home to his African American chauffeur, Irvin Tabor, who moved the home to Oakwood. Tabor is Valentine’s uncle. The Irvin Tabor Family Residences, just down the street from the church, were designated a Historic-Cultural monument in October 2017 after Valentine (also a former First Baptist Church congregant) fought to have it preserved. “Black history is disappearing,” she said at the hearing. 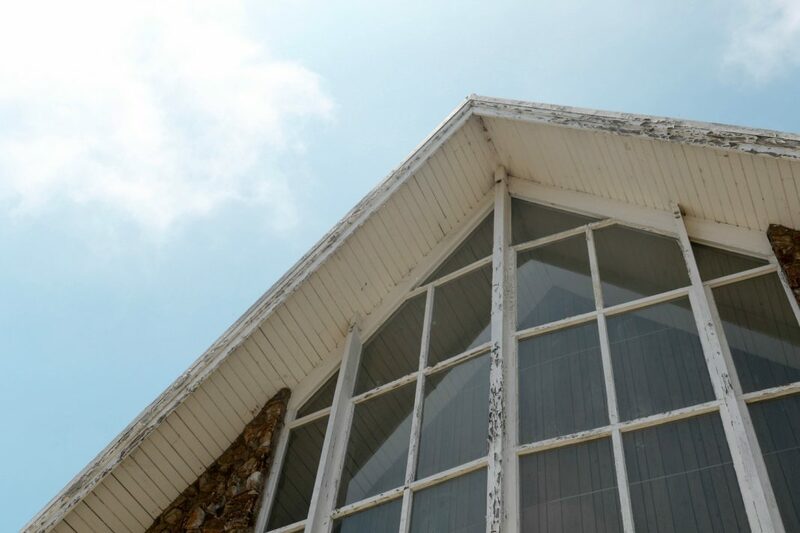 “If you vote for it, you’re just against black history and you ought to be ashamed of yourself.” Several former congregants are in the process of pursuing Historic-Cultural Monument status for the church building. “I do have empathy and understanding for…their desire to uphold the history of Oakwood. I believe that’s best done through community participation and dialogue and not divisiveness,” said Elaine Irwin Penske, wife of Jay Penske and a former model, speaking on behalf of her family at the hearing. She also says that she personally visited the surrounding community and virtually everyone she spoke to agreed with the conversion. At the meeting, several proponents of the conversion argued that without the Penske family’s purchase, the building could have been converted into luxury condominiums instead. A large number of supporters of the project noted how giving the family is and how much of an effort they make in the communities they live in. But the commission, its four members evenly split, failed to reach a consensus. Two commissioners had concerns that an 11,760-square-foot house would be out of character for the neighborhood. The commission will reconvene on August 15, when a newly appointed fifth commissioner will eliminate the possibility of an even split.